Villa Ellen is a spacious, well appointed villa is situated in a quiet residential area, only ten minutes walk from the main beach of Las Cucharas. Local restaurants. Set in the exclusive residential area of Los Mojones and tucked away down a peaceful cul de sac. 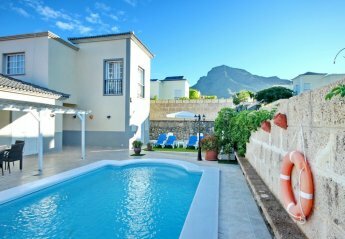 This charming three bedroom, three bath villa is located in the delightful clifftop area in the old town of Puerto del Carmen. The harbour. The new town with its long sandy beach is a 20 minutes walk away. 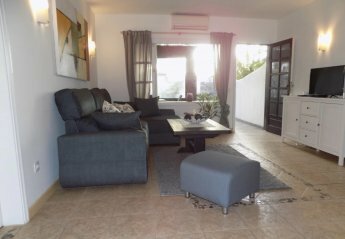 This 3 bedroom apartment is located in Corralejo and sleeps 6 people. It has WiFi. 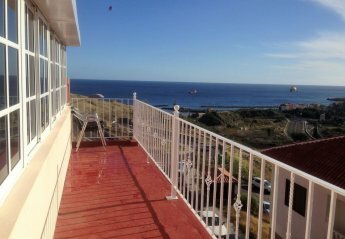 Villa in Del Duque, Costa Adeje, a maximum of 6 persons, to the beach Playa El Duque 10 minutes walk. Large garage for 2 cars. Near Siam Park, La Caleta, shops, restaurants. 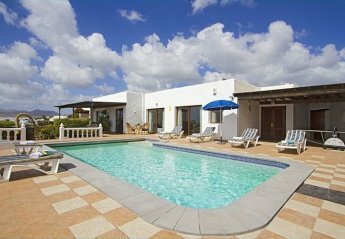 This house is located in Puerto del Carmen and sleeps 4 people. It has WiFi. 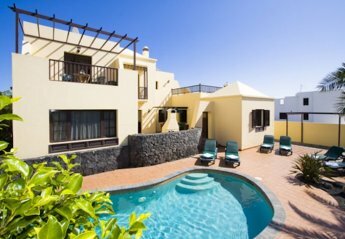 This lovely four bed villa to rent is set in the very desirable "del Duque" area of Costa Adeje and benefits from a private heated pool, air conditioning and wifi. 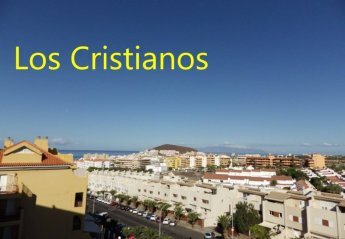 This lovely studio apartment to rent in the Port Royale complex of Los Cristianos, Tenerife offers very comfortable accommodation, a lovely sunny terrace, wifi and partial sea views. This apartment is located in Tinajo and sleeps 2 people. It has WiFi, a garden and parking nearby. 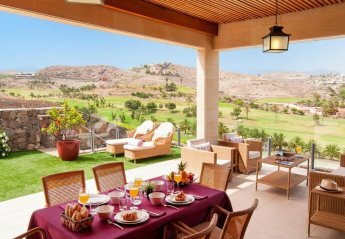 This 4 bedroom villa is located in Golf Resort Salobre Sur and sleeps 8 people. 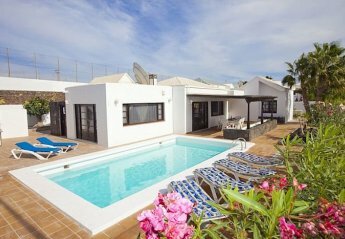 Casa Cadera is a delightful, three bed, two bath, detached property, in the exclusive residential area of Los Mojones in Puerto Del Carmen. 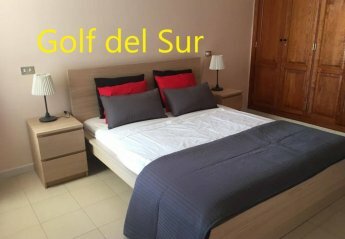 This 1 bedroom apartment with swimming pool is located in Golf del Sur and sleeps 3 people. It has parking nearby. 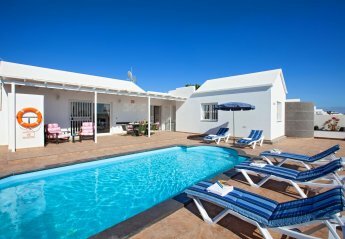 This 2 bedroom house with swimming pool is located in Granadilla de Abona and sleeps 4 people. It has parking nearby. 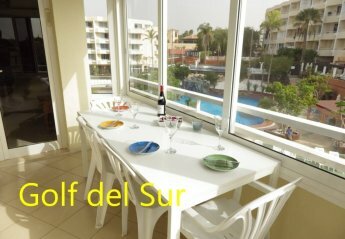 This 2 bedroom apartment with swimming pool is located in Golf del Sur and sleeps 4 people. It has parking nearby. 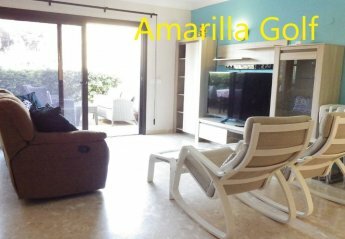 This 2 bedroom apartment with swimming pool is located in Amarilla Golf and sleeps 4 people. It has parking nearby and air conditioning. 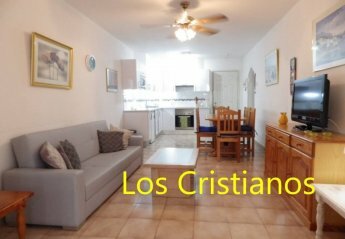 This 1 bedroom apartment with swimming pool is located in Oasis del Sur and sleeps 4 people. It has parking nearby. 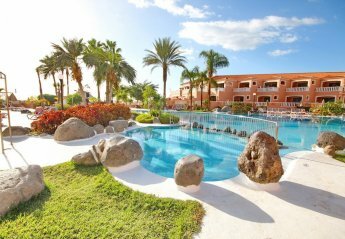 This 1 bedroom apartment with swimming pool is located in Costa Adeje and sleeps 4 people. It has parking nearby. 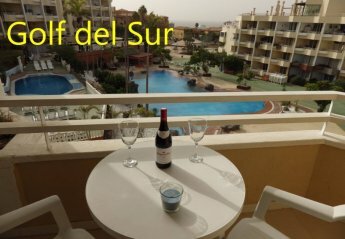 This 1 bedroom apartment with swimming pool is located in Golf del Sur and sleeps 4 people. It has parking nearby. 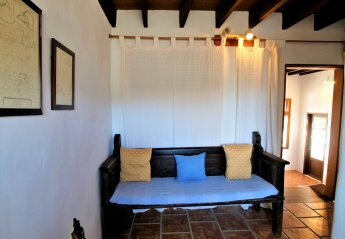 This 1 bedroom apartment with swimming pool is located in Granadilla de Abona and sleeps 4 people. It has WiFi, a garden and parking nearby. 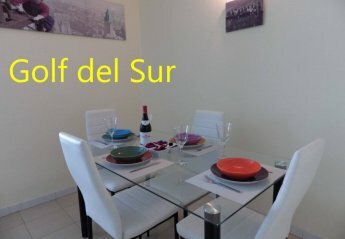 This 2 bedroom apartment with swimming pool is located in Golf del Sur and sleeps 6 people. It has parking nearby and air conditioning. 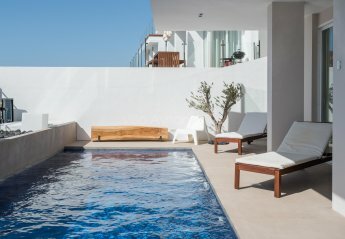 This 2 bedroom villa with private pool is located in Urbanización La Capellanía and sleeps 4 people. It has WiFi, a garden and barbeque facilities. Casa Tijo is a beautiful, three story, four bedroom villa. SUPERIOR VILLA AVITAN OLIVE WITH PRIVATE SWIMMING POOL IN THE EXCELLENT LOCATION. VILLA CAN WELCOME 6 ADULTS AND 2 CHILDREN UP TO 16 YEARS. ALL OUR VILLAS LOCATED IN RESIDENCE LA TAGORA. 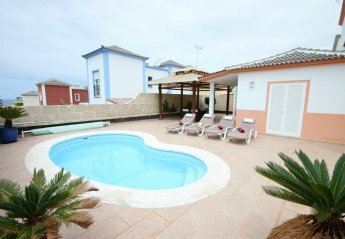 Fabulous 2 bedroom villa in a peaceful location with private heated pool, wifi and air conditioning. Only 300 meters from the beach, bars, restaurants, and shops. 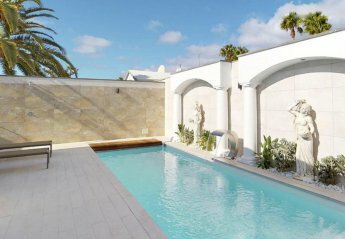 In a quiet, elevated position on the Salobre Golf Resort, Villa Julieta is peaceful and private, yet close to the attractions of the resort of Maspalomas. 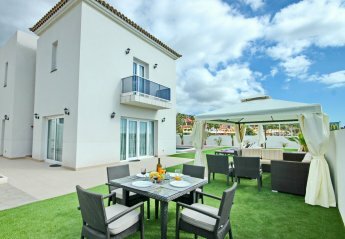 If you like to live the life of luxury, this villa is the place you need to call home as you explore the Costa Blanca area. 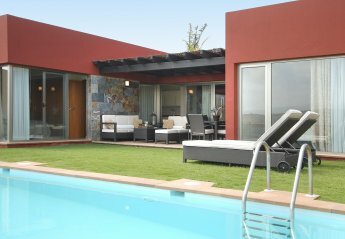 This contemporary villa is recently refurbished. 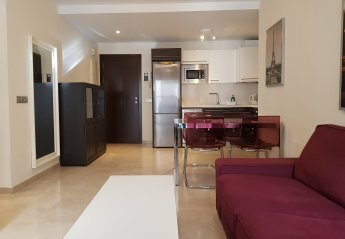 1 bedroom apartment in a popular and modern complex Sotavento 3. 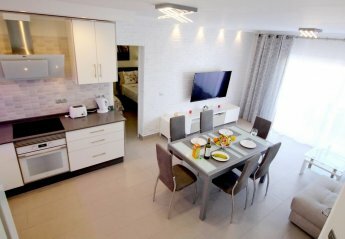 Apartment fully equipped kitchen with everything you need, the living room has a sofa, TV. 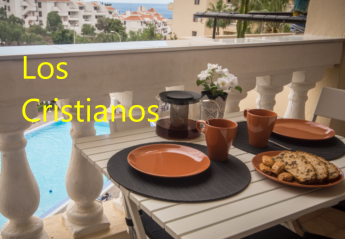 Modern 1-Bedroom apartment with its own balcony, located in the central area of Santa Cruz. This 3 bedroom apartment is located in Suculum and sleeps 4 people. It has air conditioning. 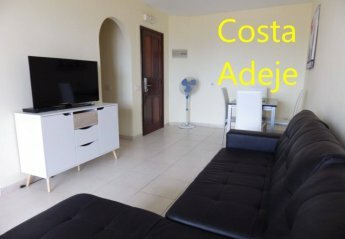 This studio apartment with swimming pool is located in Playas de Fañabé and sleeps 4 people. It has WiFi. 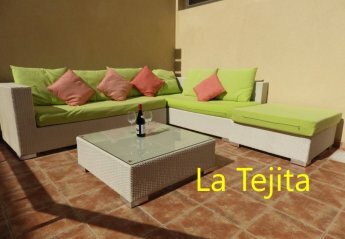 This 1 bedroom apartment with swimming pool is located in Playas del Duque and sleeps 4 people. It has WiFi and parking nearby. 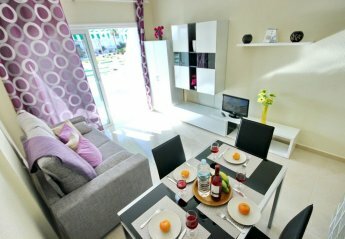 This studio apartment is located in Playas del Duque and sleeps 4 people. It has WiFi and parking nearby. 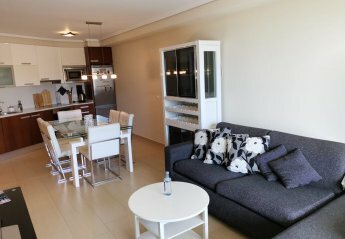 This 1 bedroom apartment with swimming pool is located in Playa de las Américas and sleeps 4 people. It has WiFi, parking nearby and air conditioning. 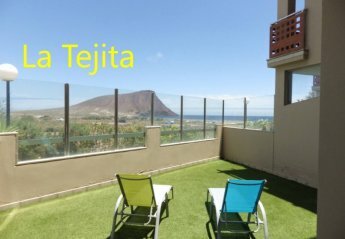 This 1 bedroom apartment with swimming pool is located in Torviscas Bajo and sleeps 4 people. It has WiFi, parking nearby and air conditioning. 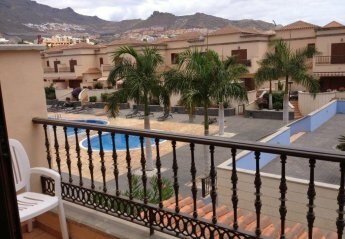 This 3 bedroom apartment with swimming pool is located in San Eugenio Alto and sleeps 6 people. It has WiFi, parking nearby and air conditioning. 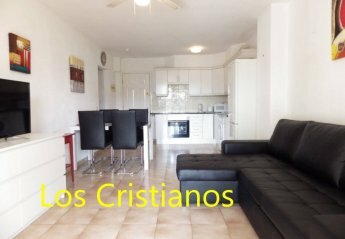 This 2 bedroom apartment with swimming pool is located in Torviscas Bajo and sleeps 5 people. 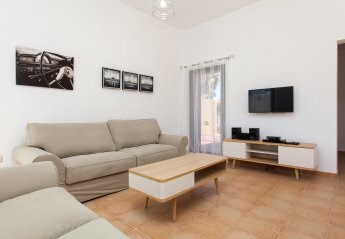 This 2 bedroom apartment with swimming pool is located in Playas del Duque and sleeps 6 people. It has WiFi and air conditioning. 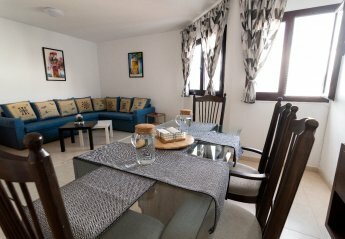 This 2 bedroom apartment with swimming pool is located in Playa de las Américas and sleeps 6 people. It has WiFi and air conditioning. 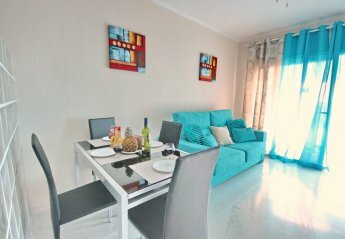 This 1 bedroom apartment with swimming pool is located in Playas del Duque and sleeps 4 people. It has parking nearby and air conditioning. This studio apartment with swimming pool is located in Playas del Duque and sleeps 4 people. It has WiFi, parking nearby and air conditioning. This 3 bedroom villa with swimming pool is located in Miraverde and sleeps 8 people. It has WiFi, garage and parking nearby. This 4 bedroom villa with swimming pool is located in Miraverde and sleeps 8 people. It has WiFi and air conditioning. 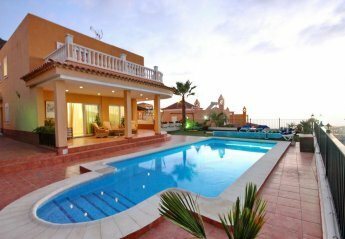 This 4 bedroom villa with swimming pool is located in Miraverde and sleeps 10 people. It has WiFi, garage and parking nearby. This 4 bedroom villa with swimming pool is located in Miraverde and sleeps 8 people. It has WiFi, garage and parking nearby.